12 yrs ago I returned to Sophy Village in Siem Reap Province, Cambodia. Siem Reap is famous for their ancient and magical temples (as described by lonely planet) 🌟 🌟 🌟. I was part of a group to help build a school for the village. In this village , was Koky Temple. Where my mum was imprisoned in during the war. Where I was born and how I got my name. During this project, I met a little girl named Suhan 🌱 🌱 🌱. It is amazing to see this little girl, with support from people all over the world, and the brightest brain, grow into a young woman, chasing her dreams. She is currently, enrolled in Medicine at university. On her way to becoming a doctor or whatever she wishes to be! But whatever it is. She is going to be AMAZING! Sopheak with the kids of Sophia Saly School. 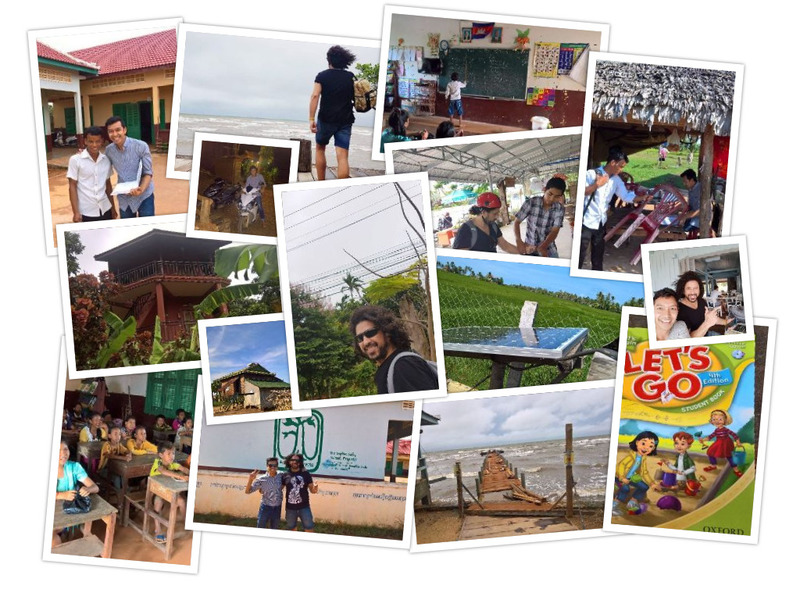 A photo-essay of my recent visit to Tipeng Village in Kep Province, Cambodia, where we built the Sophia Saly School in 2015. 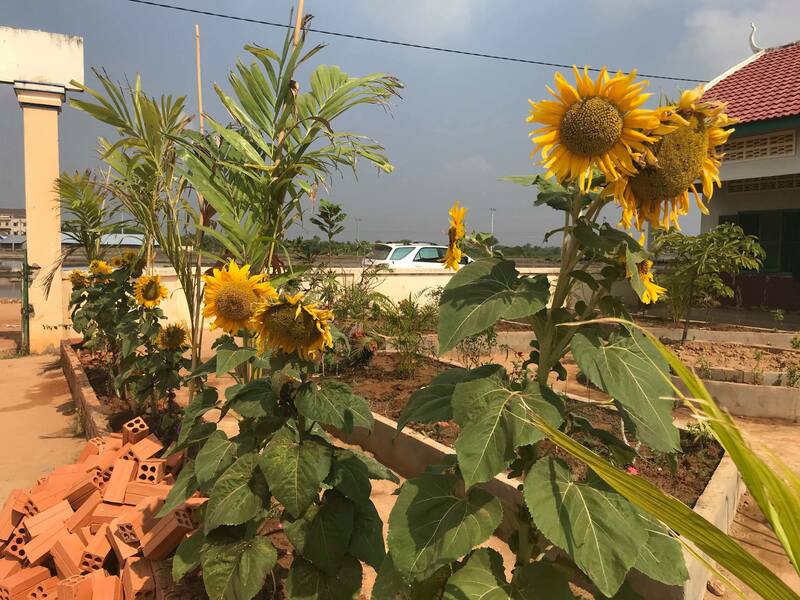 I recently had the privilege of returning to Cambodia to visit one of the villages we’re actively supporting, with the school building, the English classes and now the solar project. There’s alot I want to say with this post, to reflect on the journey I’ve been on with BabyTree Projects since 2010, the people and projects we’ve worked on, and the reasons I stay involved. I keep stalling, though, when it comes to getting it all down on paper, so for now I’ll just summarise the main reasons for this trip, and share some of the highlights through the pictures and videos I captured. First a bit of background. I started volunteering for BTP back in 2010 when I realised this guy Koky who I knew through World Vision, and who seemed like just a constantly laughing and joking big kid, was actually serious about his mission to make the world a better place. By giving some of the poorest children in one of the poorest countries a chance at a better future through quality education. 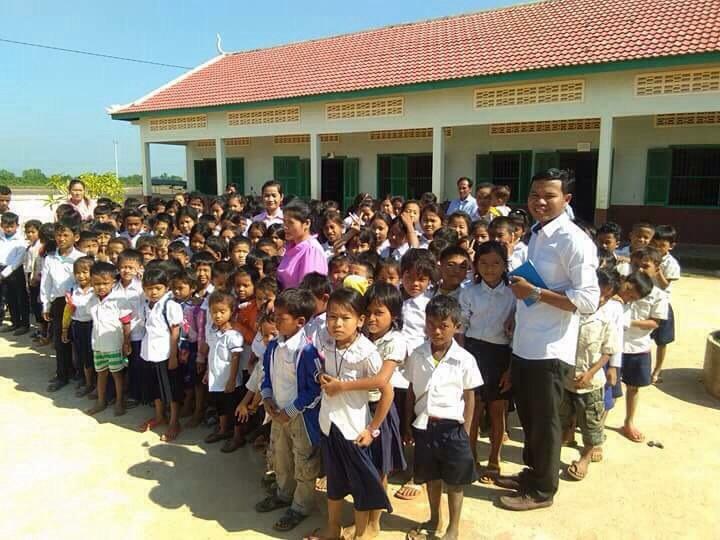 By the time I got involved BabyTree had already built 3 schools in rural Cambodia, and was gearing up for the 4th, a secondary school in Sambour village, Cloud district. I started helping out with the fundraisers, and I soon found myself more and more involved, to the point where I decided to go all in and spend the summer of 2011 living in Sambour and helping to build the school. Sambour Village Secondary School 2012. To call the experience life-changing is probably selling it short. Seeing the conditions these kids and their families lived in was pretty heart-wrenching, knowing how much material excess we take for granted back home. And how little it would take if we all just focused a bit harder to improve the quality of life in so much of the developing world. So when I got back to life in Oz, I kept on helping out the charity, and by late 2012 I was invited to join the Governance Committee – the small group of volunteers who continue the work. In 2014 we raised enough to go back and build one more school, which was dedicated to the memory of the recently departed Sophia, Koky’s sister and partner in crime, who helped found the charity, and was tragically taken by cancer in 2012. The Sophia Saly School has been the focus of most of our recent work, including an English Program which we’ve fully funded for the next 5 years with the support of Beekeper Parade, and a pilot Solar Project which we launched in conjunction with Engineers Without Borders (EWB). We’ve installed 15 systems into homes in Tipeng Village, where the school is located, and hope to build this out to other homes in the area too. Unfortunately, EWB aren’t able to continue their presence with the project, so we need to work out what our options are moving forward. Claire, our Treasurer, has been the active liaison with EWB and the Solar Project, but since she was preparing to have her first child, I offered to step up and take this on. 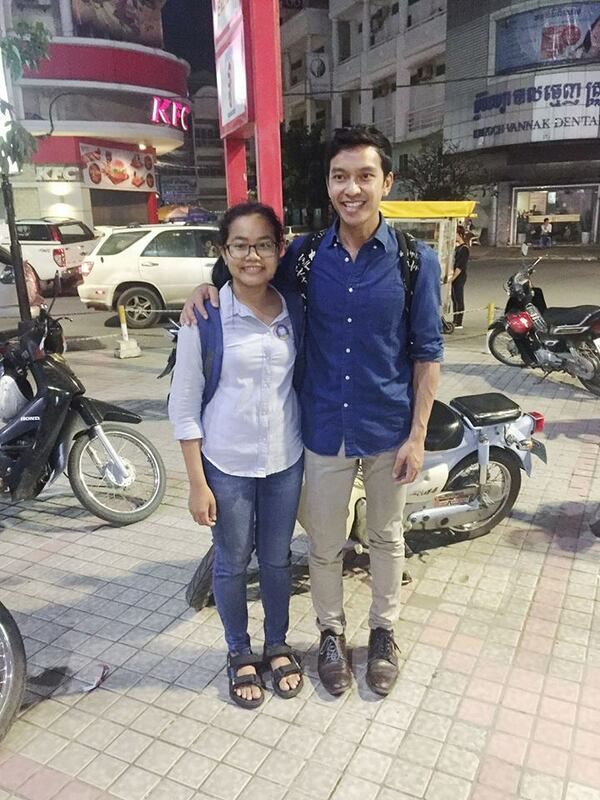 Koky happened to be visiting Cambodia for 2 weeks in August, at the same time as Brendan our contact from EWB was finishing, so I jumped at the chance to finally get back over there, do the handover with Brendan, and reconnect to the work and the people we’re supporting. I’ll come back and fill in a bit more detail around some of these points, but for now here’s the key bits of the trip. The highlight of my trip was getting to sit in on a couple of the English classes. These kids are primary aged, and they’re already well on their way to speaking, reading and writing English! And the older kids were advanced enough to even take turns getting up and leading the class! Day 2 in the village, we visited about half a dozen families who’s homes we’ve installed the solar kits into. There’s a range of challenges we need to overcome if we’re going to continue to build on the program without EWB, but we’re confident that we’re off to a good start. The initial installations have helped to demonstrate the value of electricity to the wider community, and we’ve upskilled our local contact Groo Mao with the ability to install and help maintain the systems. He can build on this foundation to share this knowledge with others in his village, and potentially maintain and grow the project without us one day. Kep Province is a magical place. We stayed at Spring Valley Resort, which was built on the side of lush green mountain, about a 50 minute moto ride from the village each day. The rest of the trip was spent meeting with Brendan from Engineers Without Borders to do the handover work for the Solar Project, and also to meet our local staff member Sopheak who’s going to support Groo Mao to deliver the English classes and maintain the solar installs. BabyTree & BeeKeeper foudner, Koky Saly, featured on the hugely popular Humans In Melbourne Facebook page. Humans In Melbourne: This is one of my favourite stories ever and it is definitely one that will be in the book later in the year! When the war ended there was a lot of turmoil. We escaped prison and we found my father and other siblings. We walked for 3 days and 3 nights to the border of Thailand and got smuggled across. People often say when I tell them this story “Oh, you were so lucky to survive.” As I’ve grown older and thought about it, it seems to me luck had nothing to do with it. People’s kindness and courage is what allowed us to survive. There were the doctors and nurses that helped us when we got to Thailand. The prison guard who would always bring my mum some extra food to help her… There was a French doctor who helped us by calling all of these embassies around the world trying to find one that would take us. The first country that said yes was Australia. We moved to Melbourne and we settled into the community. I learnt English and had a great education. When I got older I decided to travel back to Cambodia to try and help rebuild it. I was thinking I could help in education somehow. Something I had benefited from that was so rare in Cambodia. My dad organised the trip for me and told me he’d found a village that was willing to give me some land, under the proviso I built them a school. I was amazed! Koky proudly displays BeeKeeper Parade backpacks! I told my sister Sophia and my friends all about it, we are a bunch of dreamers and romantics, and in 12 months we raised over $50,000. 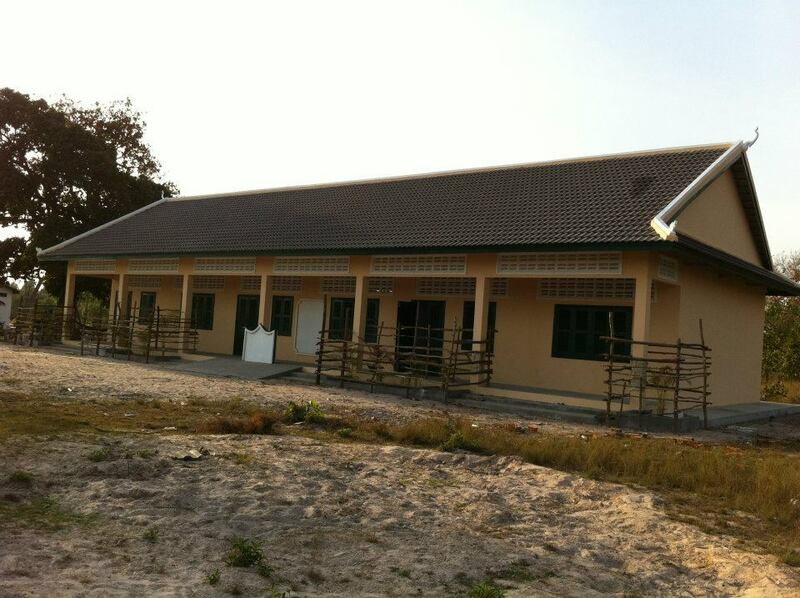 We all went to Cambodia and lived in this village for about 2 and a half months and we built the school. My parents had sent me back to where I was born without telling me. It was so overwhelming and I felt like I had made a difference to a place that meant a lot to my history. So that was that. I had completed my mission. That was until I got contacted by other villages asking me to build schools for them. So in 2007 I set up a proper charity, Baby Tree Projects, and set about raising finds to build these schools. That charity still operates now. We have built 5 schools so far and hope to build more. We started to develop the idea for a new business which we named “Boy and Bee”. The idea behind it was that there is this 10 year old kid who wanted to change the world, he went out and tried, but he failed. He then realises that if he wants to change the world he has to work with others, especially his best friend,The Bee. Sophia was my Bee… My best friend. Koky has always dreamed BIG. In her will she left me her car with instructions to sell the car and to use the money to make sure Boy and Bee happens, to inspire change in the world. I struggled to deal with Sophia’s death. I was suicidal and I wanted to leave this world too. I think that everyone that has suffered severe depression understands what I mean when I say that you go to this edge, for me the edge was looking into this abyss… this black darkness, but it was a peaceful and mesmerising place. I remember wanting to just slip into that next world, to just find peace there. I spent the next 3 and a half years trying to make this happen. People often ask me how I built this business. The truth is I used my heart and soul. That may sound vague but it was those 2 things that made me never give up when I had zero money left. 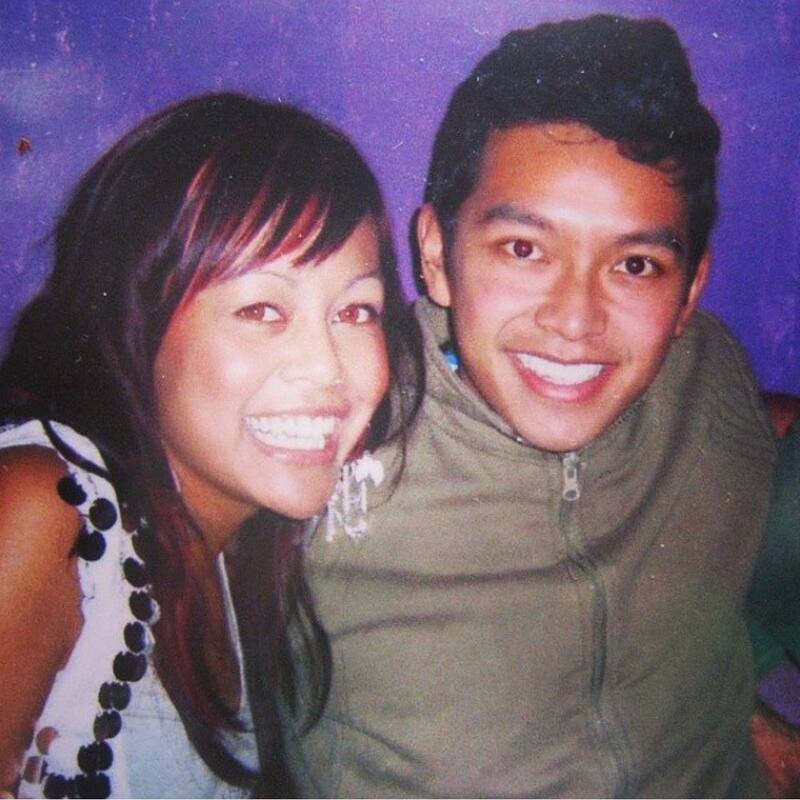 When I was in Cambodia eating 2 minute noodles, struggling with no idea how I would pay the rent… It was my heart and soul and this promise I had to keep to my sister that kept me going. I developed a new business, I named it Beekeeper Parade. 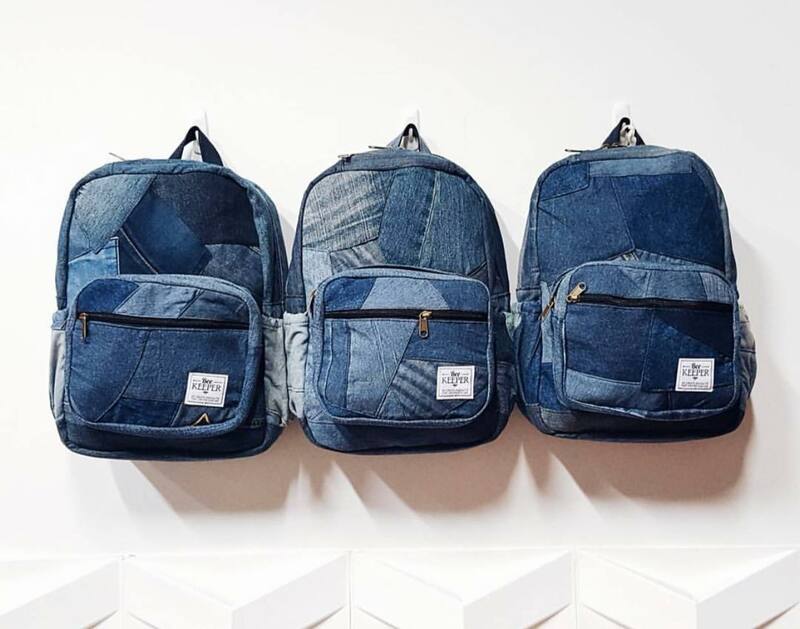 I wanted to make backpacks but backpacks that do good for the world. Something not a lot of people know is that in Cambodia we get a lot of the third world’s rubbish. Especially a lot of used clothes. The average Australian only uses 20% of their wardrobe. The other 80% is only used once or twice and then never again until they are either thrown out or donated. A lot of the clothes that get donated actually end up in landfill or in shipping containers in Cambodia. So I thought that I could re-purpose this clothing to make the backpacks. Sophia Saly has and always will inspire Koky to leave the world a better place. We started with T-Shirts and we made one of a kind bags out of them. They looked great and the response we got when people saw them was amazing. Then I realised that factories were throwing out new stuff as well! Off cuts, end of roll fabrics, remnant fabrics, so I designed another bag to make use of that as well. It’s win-win because the more we make the more kids we help and we are keeping the clothes out of landfill as well. 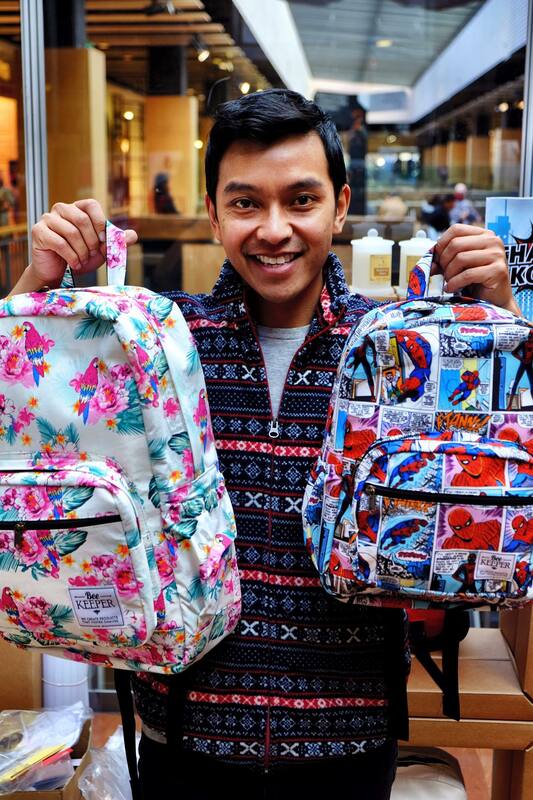 For every bag sold we send a Cambodian child to English class for one whole year. So far we have sent close to 1000 kids to school. My sister’s dream is still very much alive. 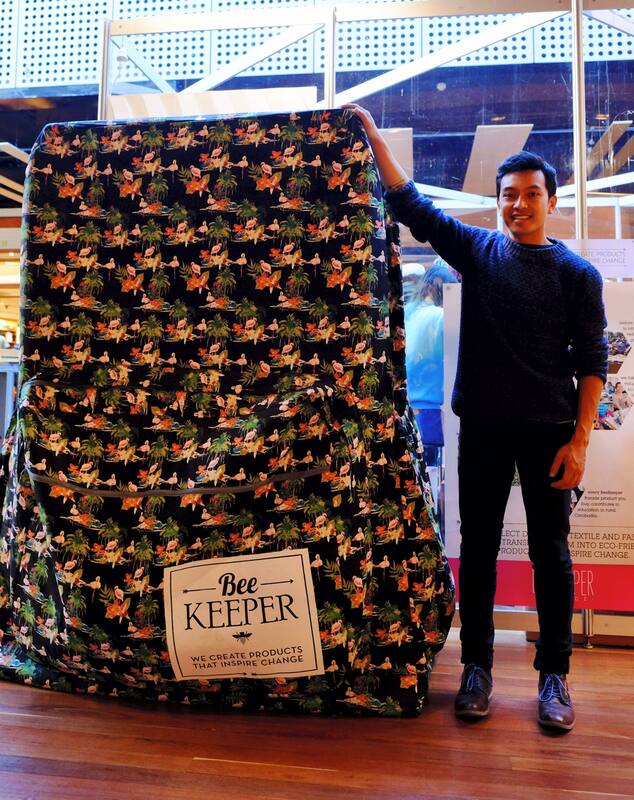 BeeKeeper backpacks change the world for kids, through BabyTree Projects. BabyTree Projects is supported by BeeKeeper Parade. BeeKeeper Parade’s The Great Tuk Tuk Rally January 2016 recently wrapped up and it was a BIG success! Teams raced across Cambodia in motorised tuk tuks and competed for the ultimate glory of winning – all to raise funds for Peter Mac Cancer Research and the BabyTree Projects Solar Project at the Sophia Saly School community in Kep. Without further ado, we would like to announce that the winners of The Great Tuk Tuk Rally 2016 is: Team Rickeisha, whose name will be forever immortalised on the trophy! Huge congratulations to Alicia Guild and Rick Powley for their massive effort. They also took out the major middle leg challenge: The Blind Solar Tuk Tuk Challenge in a current world record of 7mins 55sec, meaning they got to ring the prestigious Sophia Saly Cow Bells. In all this fun, we also officially fundraised $5,820AUD. Not bad given the guys had only a month to raise money. These funds will be divided to support Peter Mac Cancer Research and the BabyTree Projects Solar Project at the Sophia Saly School community. But the excitement of what’s next is already building up. 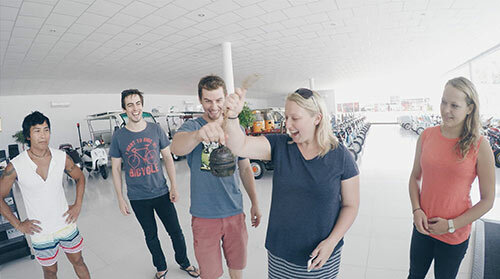 Such as your chance to test your mettle in the next Great Tuk Tuk Rally! Do you think you can do it faster and hold the world record? BabyTree Projects is on the hunt for an incredible human being to join our team. The title is Project Coordinator but the role is much more. We are looking for someone that believes in freedom, a sense of humour, finding beauty in the smallest things and happiness. Oh and that changing the world is possible. The full job description can be downloaded here: BTP – Staff member – position description. Closing date for applications is 5pm, 15th July 2014. 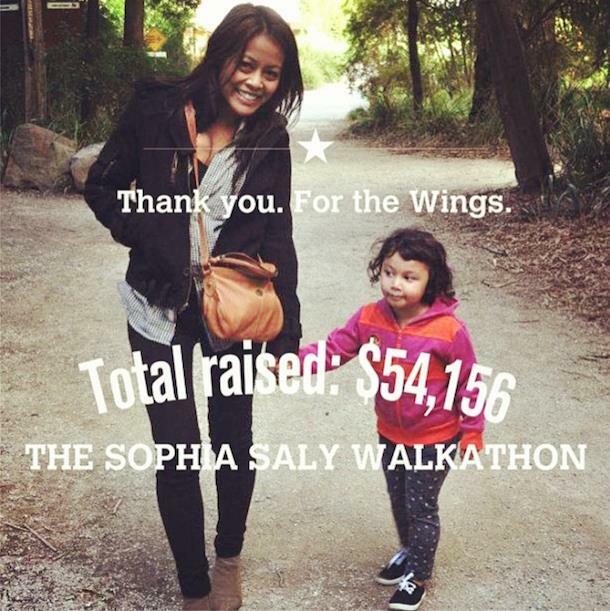 I would like to take the time to say thank you for your support during BTP’s Sophia Saly Walkathon 2013. The final amount raised from this walkathon was an incredible and unbelievable $54,156! Soon, we will embark on the school build project and we will surely let you know how it goes. This project and this journey has grown beyond anything I imagined possible. Learning to love someone from afar is not an easy task. Thank you for letting us share Sophia’s story and embracing it with such love. There’s nothing more a person can say in such an embrace, except, thank you. 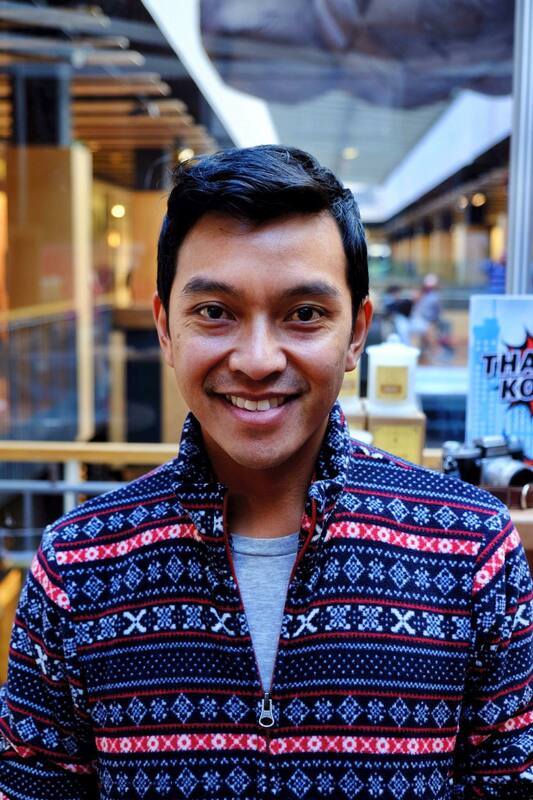 BabyTree founder Koky Saly in The Age. If you are unable to read this picture you may read the article by clicking here.